Webcams capture an image of the gallery interior every 30 seconds. 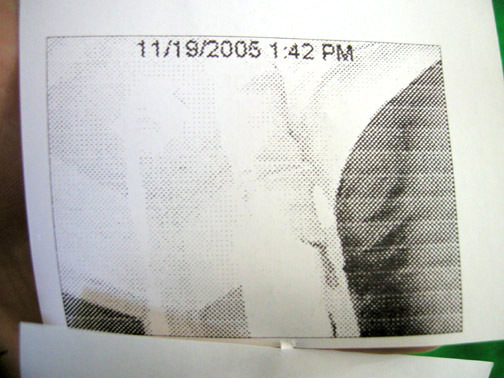 The image is sent to a thermal printer suspended by wire cables overhead and camouflaged as a white fluffy cloud. The printer creates a low-resolution version of the image with a time and date stamp and spits it out into the space, allowing it to float gently down to the gallery floor. 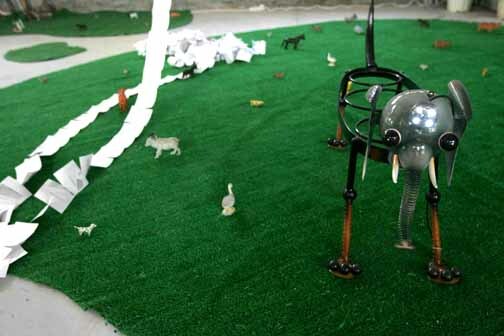 Over time, the images litter the gallery floor and create a record of the gallery scene, in 30-second increments. As time progresses, the images that accumulate on the gallery floor give visitors a non-linear experience of a real-time linear narrative that develops within the exhibition space. ^ Exhibition opening. 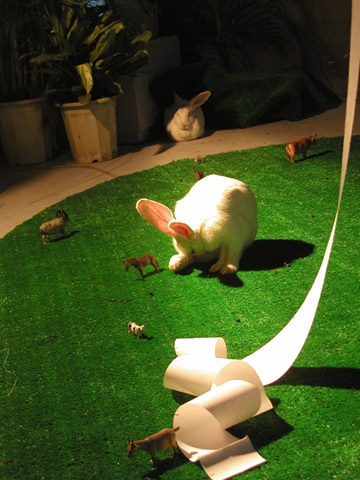 A live rabbit from a neighboring installation comes to hang out in Timestamp. He stole the show. 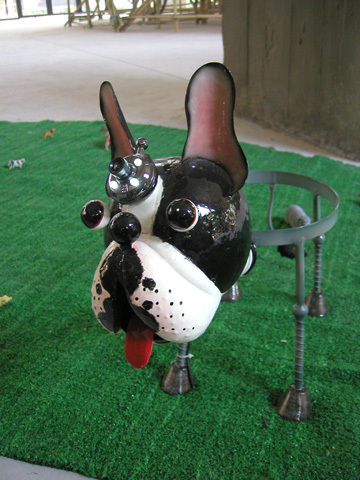 The printed image^ ^ A sculptural creature. The webcam is affixed to its "third-eye." ^detail of the printed images. 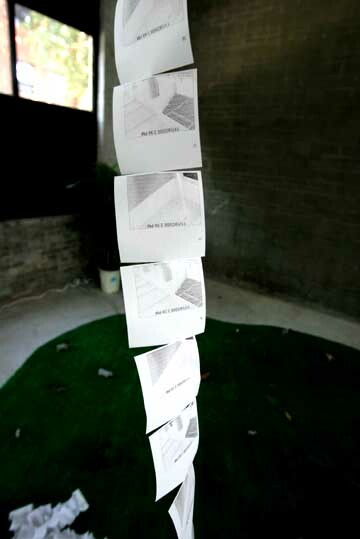 Ideally the images are not linked together, but this particular printer could only do partial cuts. ^ Yet another sculptural creature, with yet another webcam.